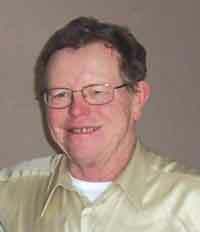 Aaron Raymond Hunt, 76, passed away suddenly, May 6, 2013, of natural causes in Boise, Idaho. Aaron was born Jan. 31, 1937, in Hollywood, Calif., to Mary Fawn Wayment and Elmer Raymond Hunt. He attended elementary school in Satsup, Wash., before moving to Ogden, Utah, where he graduated from Ogden High School in 1955. Aaron served in the U.S. Army from 1961-1963. He was trained in Texas and stationed in Germany. Following an honorable discharge, he attended Pierce College in Northridge, Calif., to study accounting. He was a lifelong member of the Church of Jesus Christ of Latterday Saints. He married Millie Ramos in August 1966 and had three children: Eric Ramon Hunt, Michelle Marie Hunt, and Janette Andrea Hunt Brown. They lived in Northern California while Aaron worked for the Pacific Bell Telephone Co. Following his divorce from his first wife, he married Karen Kay Fullmer Sparks on Aug. 5, 1976. Shortly after their marriage, Aaron transferred to Mountain Bell in Ketchum, Idaho, and they moved their family of eight to Bellevue, Idaho. Aaron retired from US West after 35 years of service to the phone company. Aaron was an avid supporter of American-made products. He enjoyed the outdoors, fly tying and fishing, hunting, biking, wandering new trails, having coffee with friends, and doing crossword puzzles in pen. He also loved tinkering with “vintage” cars. He was preceded in death by his parents. He is survived by his wife Karen Hunt of Bellevue; his son Eric (Sofie) Hunt of Vallejo, Calif.; his daughter Michelle Hunt of Santa Monica, Calif.; his daughter Janette Hunt (Brown) of Culver City, Calif.; his sister Arlene (Ralph) Poll of North Ogden, Utah; his brother Norman Hunt of Washington City, Utah; his sister Sharon (Gary) Crane of Thermopolis, Wyo. ; his step-daughters Dianne (Tom) Hanson of Hazelton, Idaho, and Susan (Ken) Hardy of Hazelton, Idaho; his step-son Christopher (Kristin) Sparks of Boise, Idaho; grandsons Jacob Hunt, Chad Hanson, Cordell Sparks; and granddaughters Christina Brown, Makenna Hardy, Katie Hanson, Brittan Hardy, Henley Hardy, Jenny Hanson, Chevelle Sparks and many nieces and nephews. Bishop Clayton Adams officiated at a graveside service with military honors and internment was at Ogden City Cemetery in Utah on Saturday, May 11.